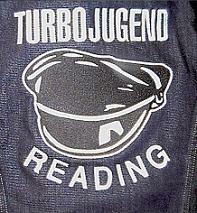 THE TJ FORUM MOVED TO HTTP://WWW.TURBOJUGEND-FORUM.ORG. TURBOJUGEND AUGUSTA VINDELICORUM PRESENTS THE "SAILOR MAN PARTY II"
NEW ISSUE OF THE TURBOJUGEND MAGAZIN! LET'S START A PARTY WITH TJ BONN!